Trophy Wooden Train Whistle. This wooden whistle sounds authentic. Made of solid wood. Made in the U.S.A. 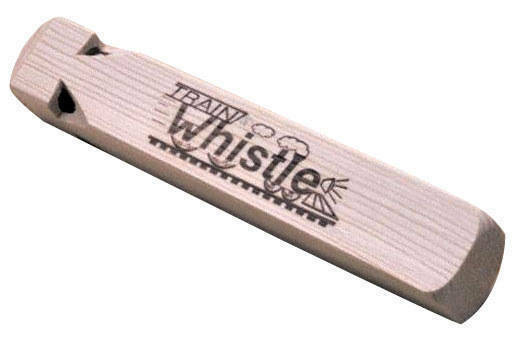 This whistle can be used to provide different accentuation in a piece of music, the train whistle specifically; an easy instrument for a student to use for participation in the classroom environment.